Save the date! 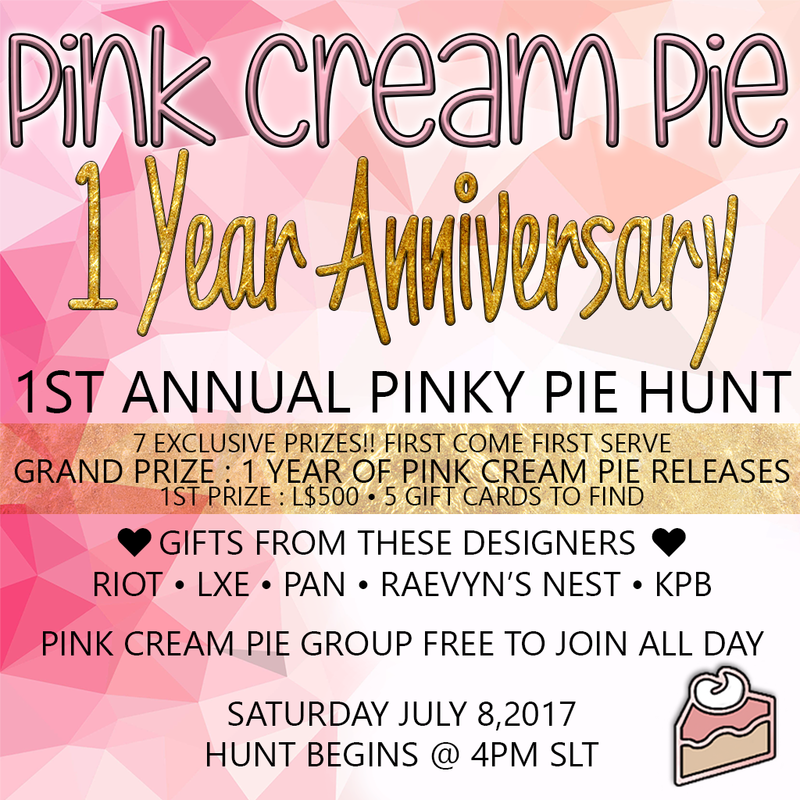 We’re celebrating 1 year of Pink Cream Pie on July 8th! • Gifts from these wonderful Designers! • Group is FREE TO JOIN on that day, so it’s a good time to get your friends in for the fun all year! 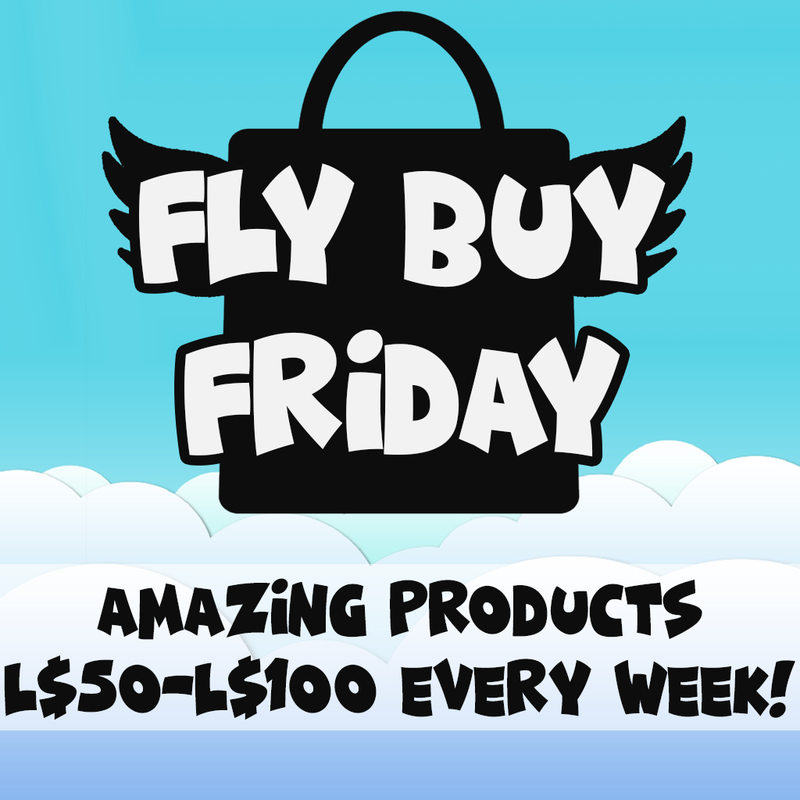 Hunt Begins @ 4PM SLT.